With the assistance of our dedicated team of professionals, we are providing a premium quality range of PTZ CCTV Camera. 1/3" Exmor CMOS, Max.50/60fps @720P, 4.7mm-94mm lens, 20X, 2D/3D DNR DWDR, ICR, IP66, Max.240/s pan speed, 1CH Audio, Alarm 2/1CH in/out, 100m IR Distance. 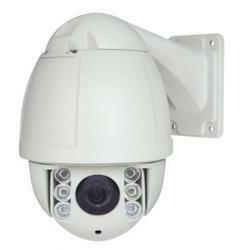 - High Resolution 1/4 IT CCD Sony, 480TVL (Color Mode), 520TVL(B/W Mode). 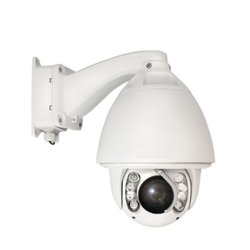 - Weather-proof 24-hours Surveillance ICR true day/night, IP66 standard, lighting & surge protector, high strength metal housing, heater and fan. - High Speed Panning Speed 0.1~300° /Sec, tilt Speed 0.1~120° /Sec, preset mode at 360° /Sec, accuracy /-0.1°.